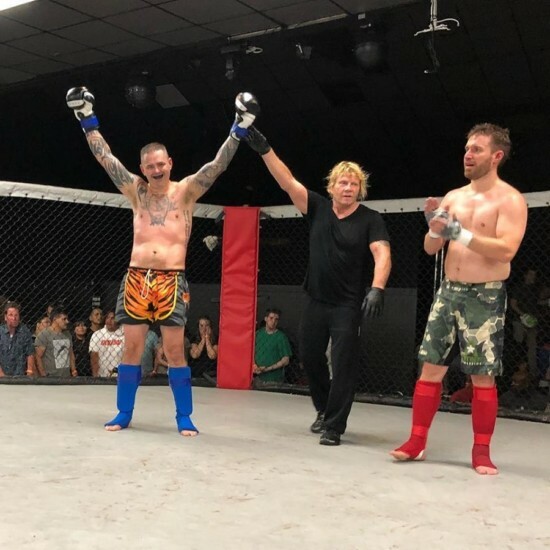 Austin Brown got the win this weekend at Knockout Night 23. The bout was a K1 style kickboxing match. Austin won the fight with a 3rd round TKO! He overcame a last minute opponent switch when his original opponent came in 21 lbs over the agreed weight. He also battled back after 2 close rounds to get the win. Great job Austin!